Telephony has changed dramatically from its original days of Ma Bell and AT&T. Historically, phone calls would be routed through a central office, being converted to digital signals and traverse through A&T’s robust, circuit-switched network through 5ESS switches and other such equipment. Today, these calls can be converted to packets and transmitted over the internet with the evolution of VoIP (Voice over Internet Protocol).VoIP is made possible of a number of technologies. Audio codecs allow voice samples to be converted into packets and reduce the amount of data that must be transmitted. The original standard to deliver “toll-quality” audio at 64 kbits/sec was G.711. Today, many other codecs, such as G.729 allow for much lower data rates of 8 kbits/sec, or even 6.4 kbits/sec. Other technologies required for VoIP are the signaling protocols that allow servers to connect and route the encoded phone calls over the Internet. SIP (Session Initiation Protocol) and H.323 are two important schemes for controlling these VoIP calls. These technologies run on a variety of sophisticated switching and routing hardware platforms for both enterprise and consumer applications. 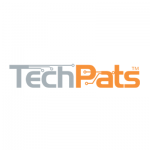 TechPats’ has done extensive product testing and analysis that includes live network testing, as well as testing performed on simulated networks in a laboratory environment. TechPats analysts have examined the feature sets of the telephony services as well as examined product code.